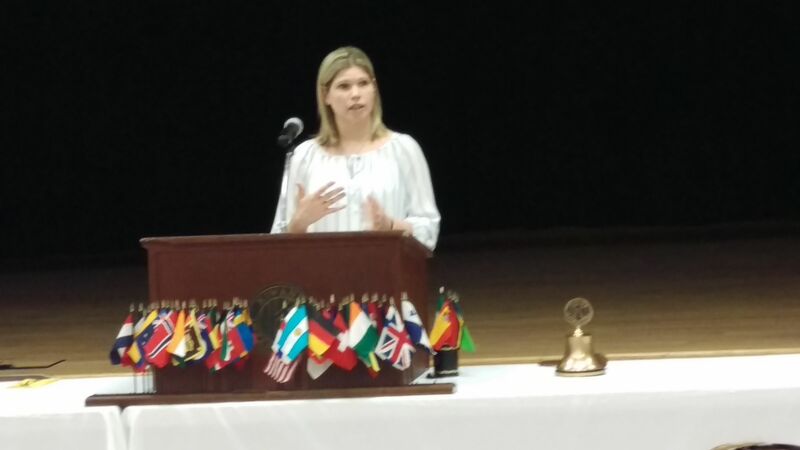 The Taylorville Kiwanis Club heard from a new pediatrician in the community, at its weekly meeting Tuesday at the Taylorville Memorial Hospital auditorium. Doctor Lynn Kink joined Doctor Yaser Freij's practice in Taylorville in January, after a 6-year stint practicing and teaching at the S-I-U School of Medicine. She lives in Springfield with her husband, a Springfield firemen, and their 2 children. She said she has always enjoyed children so that's why she selected pediatrics as her profession. She added that the new practice of allowing new mothers to be with their baby for the baby's first 2 hours of their life, is a big advancement.